Last week, we wrote about a famous president who had a traumatic brain injury. Next, we will look at another famous person from the same period of history that had a TBI – Harriet Tubman. Early in her life, the teenage Harriet Tubman was on the way to the store for supplies. On her way, she ran into another family whose slave was running away. The angry overseer demanded that she help restrain the runaway. She refused. In response, he threw a heavy metal weight at the runaway slave. The slave ran out of the door, and Tubman blocked the doorway. The two-pound weight hit her instead. Harriet Tubman later explained that the weight fractured her skull. She was bleeding and knocked unconscious when she was returned to her owner’s house. She was given no medical care and returned to the field after only two days. According to her narrative of the event she was dripping both sweat and blood. She was so unable to work that she lost all value as a slave. She was returned to her original owner Mary Pattison Brodess, who unsuccessfully tried to sell her. Tubman then started having seizures and would fall unconscious. Her family would try to wake her, and she wouldn’t wake up. This condition continued throughout the rest of her life. The head injury left her with a lifetime of epileptic seizures, headaches, powerful visions, and dream experiences. She would fall unconscious sometimes several times a day where she would hallucinate, dreaming she was flying above Earth. During these hallucinatory states, she would also hear voices, screams, music, and rushing water, and feel as though her skin was on fire, while still aware of what was going on around her. The attacks could occur suddenly, without warning, even in the middle of a conversation. She would wake up and pick up the conversation where it left off a half hour later. In addition, Tubman would have terrible headaches, and would become more religious after the injury. She went on in life to be an American abolitionist, the most famous participant in the Underground Railway. 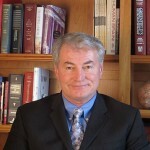 (The Underground Railway is the topic of a recent TV series, the Underground. 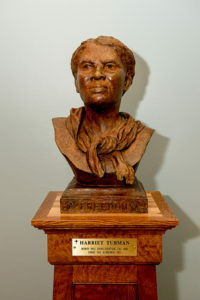 Tubman is featured in the first season’s finale.) Harriet Tubman escaped to Philadelphia out of fear her family would be split up and sold to the chain gang down south. She would go on to make about thirteen missions to rescue about seventy slaves, using the Underground Railroad, the band of antislavery activists and safe houses. Tubman stands as an interesting example of a survivor, who despite severe disability, made a difference in the world. Perhaps because of it. Without the head injury, Harriet Tubman might never have been radicalized to the point she had nothing to lose but to fight for freedom. Head injury is never a good thing, but at each cross in the road, sometimes fate twists lives in a way that results in good.